For collection dedicated for a specific play or rules and specific period OB along with "is very beneficial for play"… makes good sense. For those collections that find them selves, which fight multi period/OBs, Grand tactical then the following month a tactical level game then back… does not seem so "straight forward. I am contemplating diving into …a labeling campaign! So HOW DO YOU HANDLE THIS and what is your logic behind it? thanks for the replies/views to this, in advance! I hate the look of labels (although the ones pictured are very nice and neat), but there seems no way around them. If I use labels I put them underneath so I can check if I don't recognise the unit as I feel labels spoil the look of the thing. BTW nice paint job, whose figures are they? I play ESR too. (In fact, the picture you referenced above was the army I commanded) Those labels are very nice but remember from a normal standing position, you can't see those labels unless you pick up the stand or bend down. For my 6mm ESR armies, I based them on thin metal stands and leave a area in the rear unflocked. I then print on magnetic paper (from Staples or probably any office supply company) either an identifier that goes to a roster sheet OR I put the unit values on the label. Still working out which I like best. That's a interesting idea. Do you find it slows a game too much by having to check under the stands? Those figures are 10mm from one of the ESR boxed sets. I think the creator of the rules, David Ensteness, painted them. I label or at least color code the bases. Some of my bases not only ID the regiment, but the battalion and brigade as well. As far as the effect of the appearance on the table top, well it may distract a little. Once you get past the bowl of snacks, the drinks, and copies of rules that are laying on the table. I have labeled my Napoleonic collections in 15mm and 28mm using a thicker size balsa with the back angled at 45 degrees. This allows you to stand over your troops and still read the labels (without bending down to eye level). This works well with 15 and 28mm. I'm sure it would also work with 10mm. 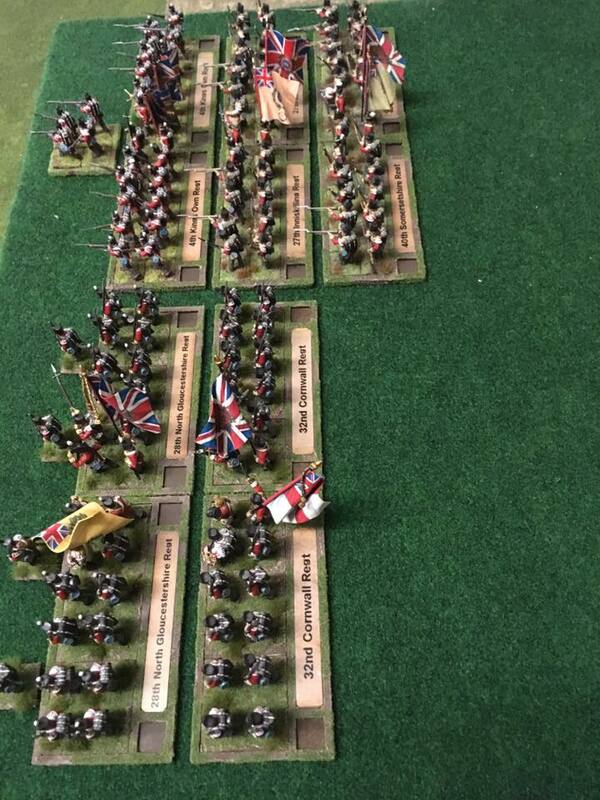 Since most Napoleonic units are painted to a unit specific color labeling them makes sense. I also label my ACW units using the same method. It also makes pick-up and storage easier. I used to hate labels, but now I love them. They usually need to be as unobtrusive as possible, possibly even white lettering on black, but even banners sticking up a 1/4" don't bother me nearly as much as trying to find the 3rd stand of a unit that got intermixed with another division. Coming from the cardboard counter side of wargaming has made me more tolerant. I am much more tolerant of labels than chits, markers, dice, and other things that are used as status markers. torokchar – your's is similar to my SYW 28's labels . The back ground color of label denotes alliance of the unit. Yellow is for those allied with Britain )although Prussia is lt.blue), white for France, Austria is a pale green. My Naps are just color coded in a tricolor, first color denotes the brigade, second regiment, third collar is the battalion. Personally I prefer not to see clear labeling on the rear of units. They show clearly in photos and distract from the miniatures. So to keep the battalion miniatures separate from each other, the basing uses a color coding system of small dots on the base rear edge. Generally for infantry as artillery and cavalry regiments are easy to keep separate. For Horse and Musket era armies. All miniatures are 25mm or 28mm based individually or in double paired bases. 1st – Green, 2nd – Med. Blue, 3rd – Yellow, 4th – Purple, and 5th battalion – Orange. If more than six battalion repeat the code coding. On left rear base corner, I paint special coding for the specific miniature. Not all miniatures in a battalion have this color coding. Red – Elite Co. (either light or grenadier), White – Armed with rifle in most cases, but represents any miniature not armed with musket, Pink – Specialist ability (think sapper or pioneers). And to complete the unit I.D…..on the base bottom underneath the based miniature a sticky paper label with complete unit name. When photographed…. this labeling system just blends into the mass of color presented on the tabletop. Easy to see if a unit is mixed with another…. the battalion right rear colors wouldn't match and the number or letter coding also wouldn't match. 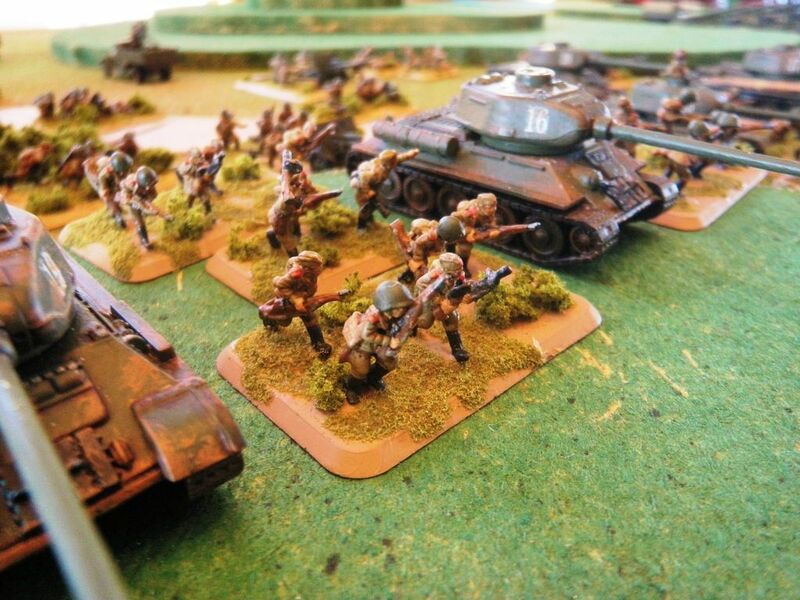 With dozens of tabletop battalions played by one player…. with ten players fielding 30-40 unit each per team side…. 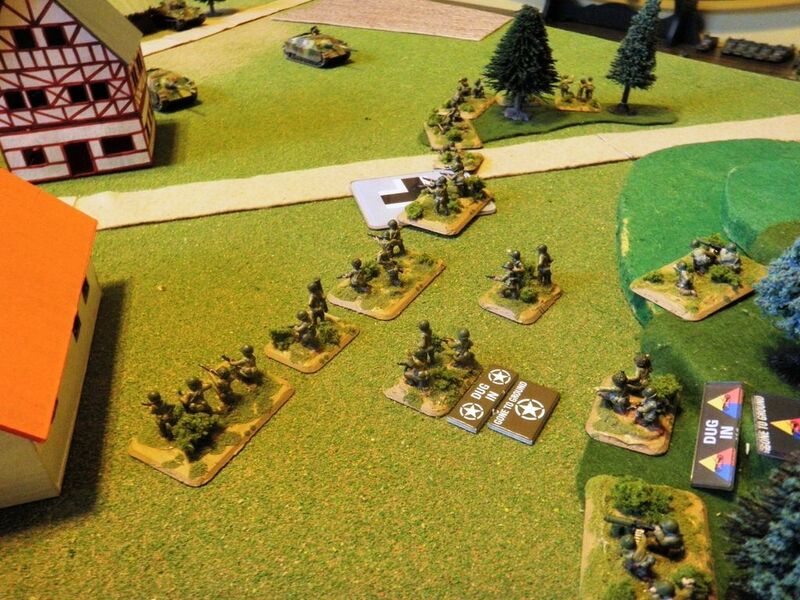 you quickly can see the tabletop, determine the unit name and battalion, and keep play in order. 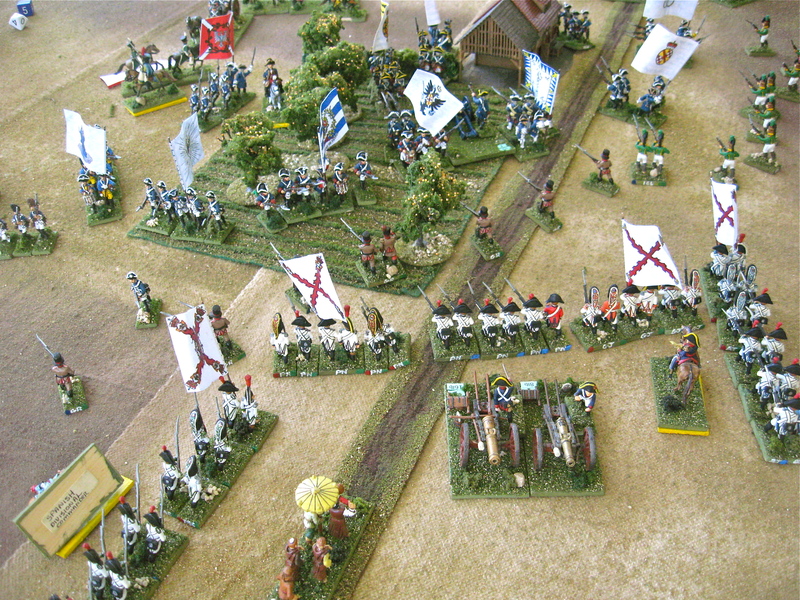 Example showing some Spanish infantry rear basing with the color and letter coding during the recent Battle of Arronches 1801 scenario. I think labels that have important game-play information are very useful. They put the information where you need them and eliminate some of the need for charts and tables. If you make the labels on neutral colored card stock they really blend into the terrain after a few minutes. It's like the borders between monitors in a wall of them. Studies show that after just a few minutes you don't see them any more. All of the examples posted in this thread are nice, unobtrusive, functional, and useful. "Hate" is a pretty strong word. The important thing for me is that I don't have to look up information on a roster or other play aid if what I need is right where I am looking. This was a key feature of the Look, Sarge, No Charts family of rules. See link Click around a little and take a look at some of the pictures. I don't think they are that obtrusive. In fact, I think they are much less obtrusive than large pink A4 or letter pages scattered around the table. Henry Hyde said that you get rid of the chart cards on a well managed table, but do people actually do that? I haven't seen it. In practice, the labels greatly speed play. OK. I dislike conspicuous labels, but sometimes find them necessary or helpful. In 5mm, with whole regiments on a single 2"x1" stand, the color of the unit's allegiance is painted on the back edge, and specific unit ID written under the base. In larger scales, unit ID is written under the command base, the assumption being that if you can't tell by uniform and/or pose what other stands go with the command base, then it really doesn't matter, and if you can tell, it's unnecessary. I REALLY dislike the F&F/NB system where you have to print out cards with ID, status and subordination of each unit in order to play a game. One way around this, especially playing games with hordes of units without distinctive regimental facings--think ACW, or Napoleonic French--is to mark beneath each base two names--1st New York/Ames, for instance, or 2nd New Jersey/Barlow so that your roster--now kept OFF the table--only has to note the subordination or other status by number or letter, as in A, B, and C Brigades--formally Ames, Barlow and Chandler--make up 1st Division, and are Veteran 9/7/5 or some such. It leaves a neater table than all those cards. The general principle is that the troops themselves should be so painted organized and based as to tell you what side they're on, what sort of troops they are, and as much as possible, their current status. In that sense, every use of labels or markers is a defeat. Mind you, I am sometimes defeated. Those labels do look very nice, I must say. Time to modernise, put a chip or RFID under the flock and have your smart phone AP read it as you pass it above the unit. (I have no idea if that's possible). I just color-code the back of the stands. Using my WW2 American stuff for example because I haven't based my Napoleonics yet: My artillery stands (and observers) are red, cavalry are yellow, infantry dark blue and Rangers a bright blue. Yes, the old US Army branch colors. From there, I grab another color for platoon ID, because numbers are slower to read at a glance. I use Red/White/Blue/Black/Yellow for platoon (or Boat Section) colors. An RFID chip reader in the phone would be awesome, dunno if it's possible yet. The rfid is possible BUT the is tag is only good for a limited time based on the type of tag. Active tags have their own power supply and last 1-3 year. Even passive tags have a limited life of probably 20 years or so. You also need to program the tag with the data. Well, as Greg was kind enough to use one of our photos, how we handle labeling of units is pretty obvious from the picture. As to the logic behind it, the labels we apply to our demo collection used at convention games and the like are permanent and only indicate the troop type and/or unit name. 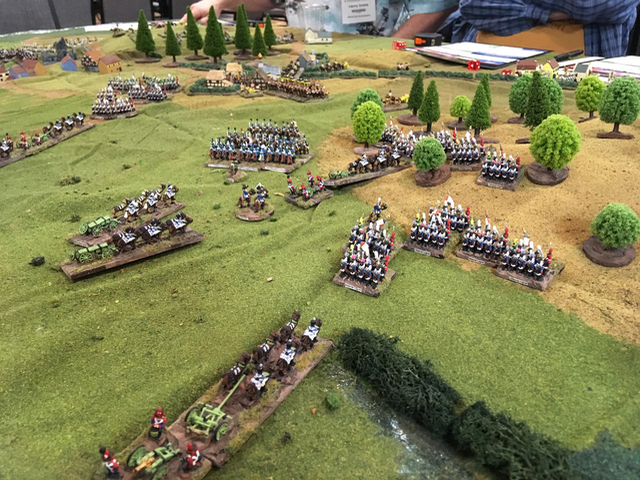 Because ESR Napoleonics is a grand tactical game, for the most part, one battalion of Russian line infantry is just as good as the next battalion of Russian line infantry. However, there are standouts on occasion, and the labels allow for innate identification of those units. 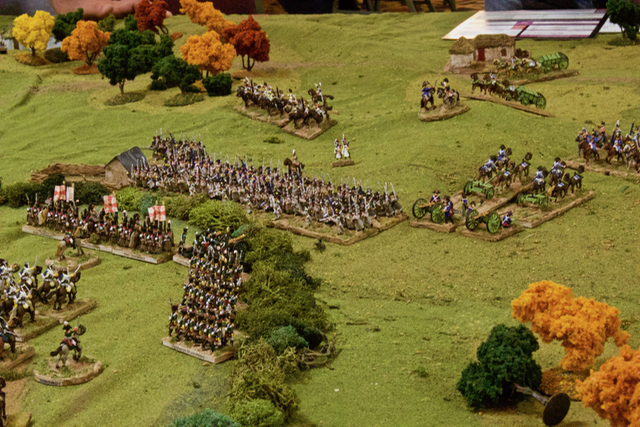 We also tend to have a lot of new-to-wargaming/miniature gaming/historicals/Napoleonics players in our games and when they are looking over their troops it is nice for them to be able to glance at the labels and say, "Oh when you said hussars you meant these guys!" 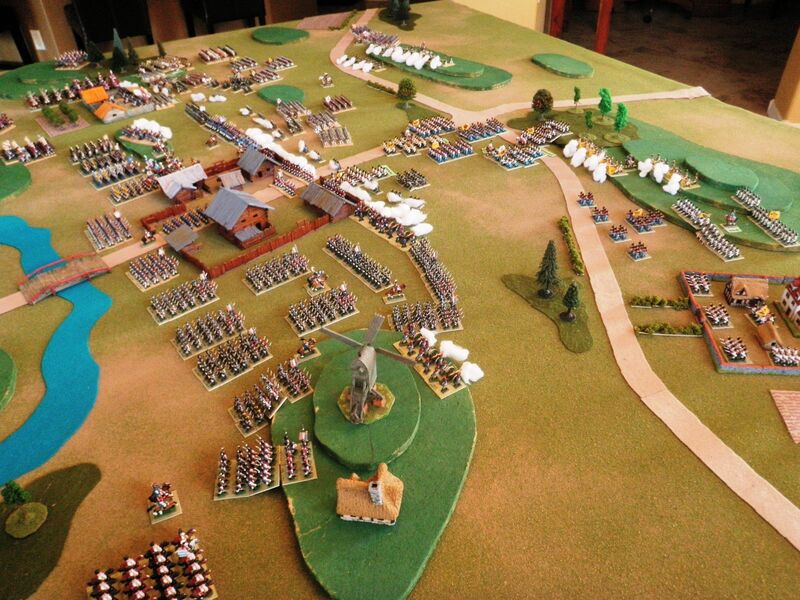 Long time gamers often like to be able to identify individual units even if there are little to no discernible uniform variations between many of them, many of us feel each unit has a sense of identity and want to be able to call out that it was "the 37th Ligne that just succeeded in its brave attack!" Most of life requires some form of compromise, because the use of our labels need seldom reference, we place them along the back edge of the base. They are very accessible when you look specifically for them or pick a stand up, but when you are standing next to the gaming table, or even sitting upright in a chair, they become darn near invisible. If they were used more commonly for reference, then the trade-off of making them more visible to increase accessibility would need to be considered. A very old and complex issue. One that I wrestled with for years and finally realized that a lot has to do with the players, style of game played and rules that are used. There was a time when I labeled everything even the players. I now have a collection of 50,000 6mm figures and none of the units have any labels, not even the players, as I can now actually remember their names. The only items with labels are the generals. We only play Polemos rules by Baccus6mm that are designed for 6mm, but can be used by any scale. 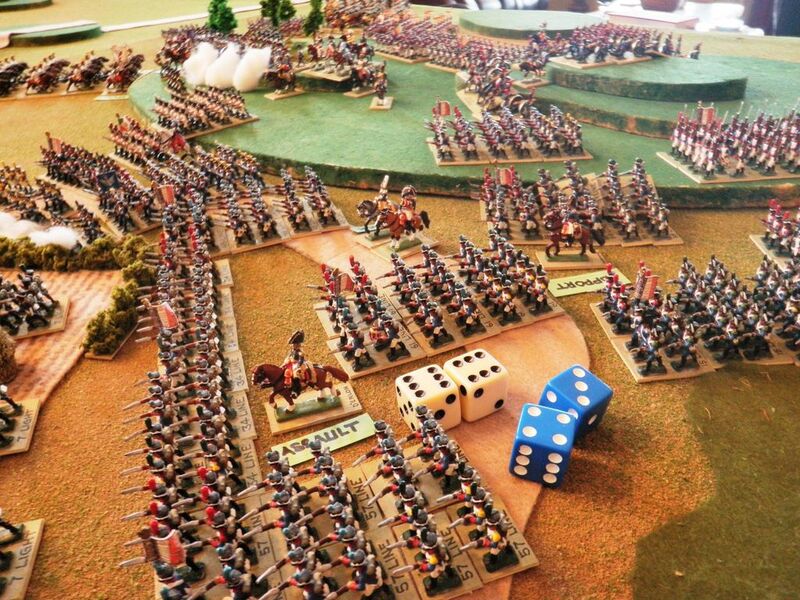 We can also play any size of battle from very small skirmishes to Waterloo, etc. using our house rules "Ruse de Guerre" for all horse & musket periods. They are sold by Baccus. If you play "shot gun" type rules where units (generally battalions) and parts of units are allowed to basically do their own thing then labels can be of value to some players. Especially to those who don't know what different units look like. However, I've found that even a complete novice can generally be educated pretty quickly if you have a simple set of "historical rules". Historical rules encourage units and brigades to act together so you don't have different units/stands etc. intermixed and all over the place that appears to be common practice in a lot of games/rules. Once you have a system that keeps most parts of a brigade together the need for labels falls off the edge of the table. It's not uncommon for us to have over 10,000 figs on a table and I can locate and identify every unit. It starts with creating historical orders of battle that clearly show who commands a brigade or group. It's composition and any modifiers, etc. That name is made into a simple label and affixed to a command stand. All group and senior commanders are labeled which is common in most game systems. All commanders operate with their groups or as close as possible to their commands. 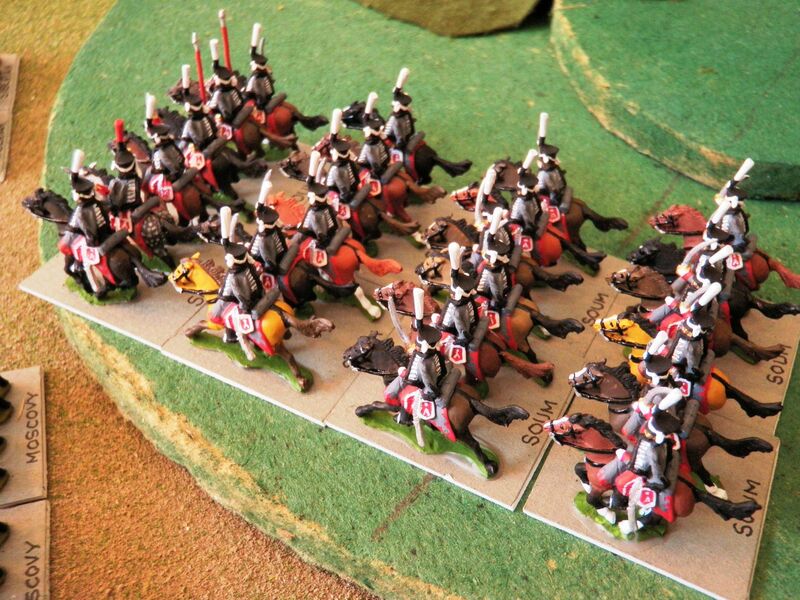 Historically most brigades were made up of similar troops so even generic figures can be used. If differences are required then most can be separated with different coloured facings, collars, cuffs or figures. There is certainly no need to label any units. We haven't labeled units for over 20 years. Aesthetics can also affect your decision. Some people find a sea of mini billboards, no matter how well they are disguised or designed offensive, while others take great pride in displaying their creative works of art. Regardless some rule systems simply don't need them. Hope this helps you out in your decision making process and if you have any questions about using a minimalist labeling system, just ask! 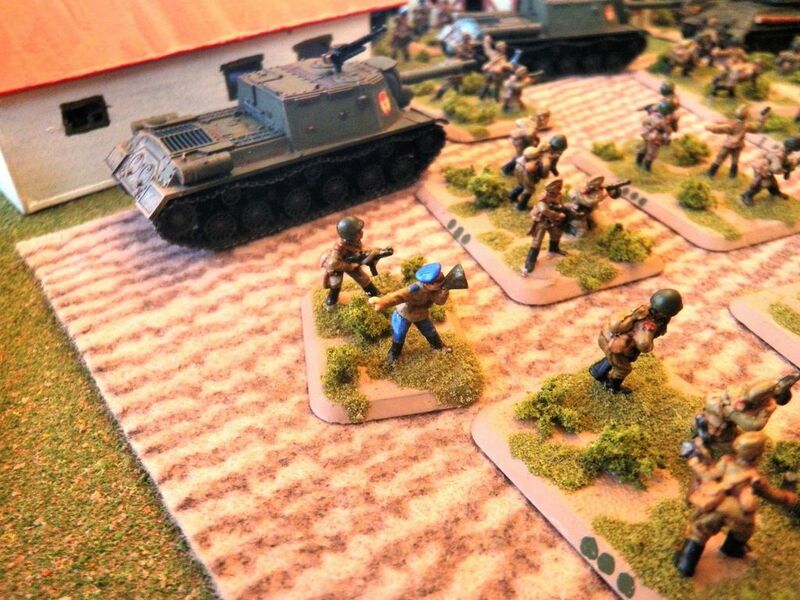 I based some 6mm scale WW2 for Spearhead (I think that's what they were called) on card about 1.5mm thick. I just used a Roman Numeral system in a colour that didn't leap out at me but which I could read easily. From memory, I needed 3 tiers, (Battalion, Company, Platoon) so I II III, would be 1st battalion, 2nd Company, 3rd Platoon. For my Austrians that I'm currently painting, I'll probably do the same (Regiment, Battalion), then maybe a dot of the facing and button colour on a back corner. So IR 47 Vogelsang will get XLVII I, II or III, and a dot of steel green and silver. What I'm less keen on is the clutter involved with rule systems that require status labels (like Retreat, Shaken etc) and instructions (like Attack etc). So, since I plan to use rules that require that, I'm going to work out a system of placing an ADC or other figure(s) with the General in different ways that easily signify the different information. Of course I'd rather not reinvent the wheel entirely so if others have devised such systems already I'd love to hear about them. My labels are all on the bottom of the stands, a full title on the command stand and a shortened version below each other stand. I can really recognise most of the units anyway, apart from the very similar French Line units. The name s really just help to stop units getting mixed up when packing them away. I avoid labels mainly by using the actual figures and their basing to convey the information. For instance, veteran units get more flags or command bases; raw units get none. John, for your question about how to avoid status labels producing table clutter: try using puffs of wool roving in different colours (black, white, brown, red). These look like gunsmoke or explosions and enhance rather than detracting from the scene. Thanks for that idea Chris. I'll have a play with that. I'm an odd duck here. 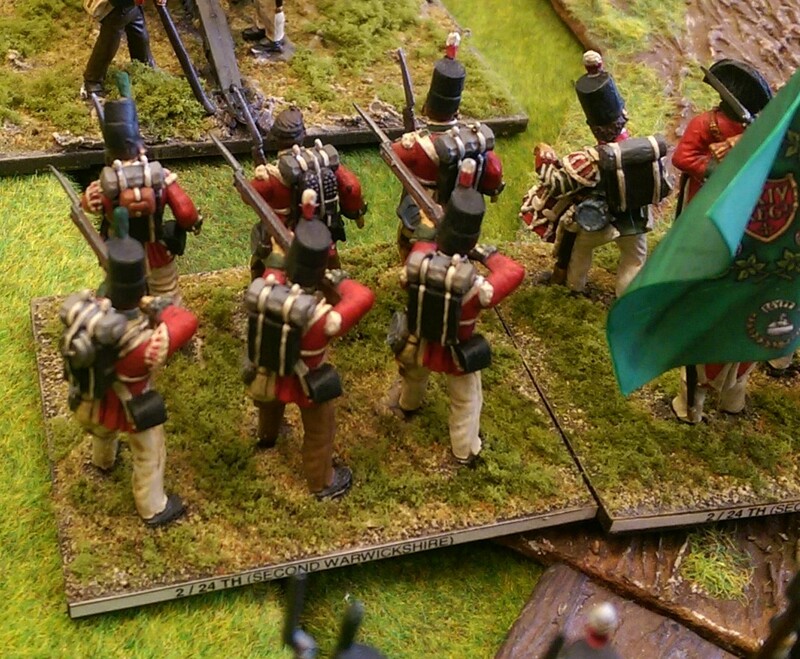 I don't flock my 15mm Napoleonic miniatures bases at all. I started that way back in 1982 and just haven't changed. I game with General de Brigade, Deluxe Edition rules, and use the 1:20 ratio. Some call me "Old School" or just lazy. Since I don't flock my mat board bases, it makes it easy to write the names of the units and generals directly onto each base. Makes it easy for gaming. 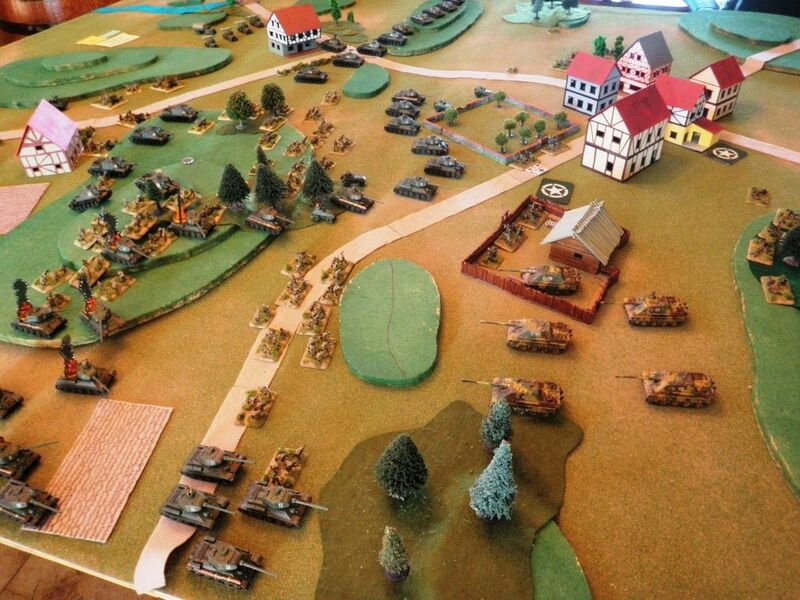 I do flock my WW2 bases which are on a 1:1 ratio using the Flames of War rules. I just put dots and bars on the back of the bases for platoon and commanders identifications. My Napoleonic 15mm miniatures without flocked bases. Thanks for looking at my miniatures and the way I label my bases. Visbly differentiated formations can be identified quickly and easily, more readily than squinting to read a label. 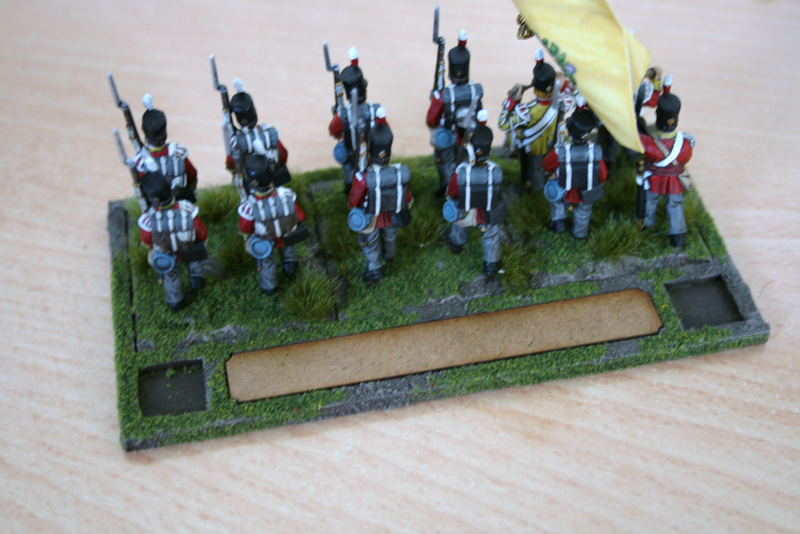 Sorry for the poor picture but this is a movement tray I am developing for my Black powder Napoleonic Army. The cutouts are for disorder dice and casualty markers. The plate in the centre is designed to carry the unit name. I have yet to decide how best to get the name on the plate. The simple method is to print onto paper & cut to size. The more expensive way will be to use letraset or similar dry rub lettering. As I am converting all of my units to this method is going to take some time, I will probably go for the simple method. As the plate is removable, I can texture one side and flip it during a battle to make it less obscure. As always, I am dithering but would be interested in your comments. Very nice, Arcane Steve! If you have a friend at the trophy shop, you could even get the nameplate in brass… Might as well go for the full impact, right? Funny thing, but generals of the era managed, working at several hundreds yards or more, to have some idea who was whom. Strikes me the challenge must be to produce labels that are legible then, at a couple of feet range, for aging eyes, but not so big as to be too conspicuous. I always suspected, that labels are for Unit's characteristicks, but here I see only names of Units. I only label with the unit number and name on the rear edge of the base and also underneath. Oversized standard with national flag – mounted to face the enemy. The reverse – Nato-style symbols – top with formation size indicator, lhs with Corps/division identifier, rhs with brigade identifier – for me to look at. I'll probably use an opened-out paper-clip to attach the flag to the commander's base. You can get decal paper for inkjet printers. Make water slide transfers. I'm considering this for when I finally get round to FoG:N army. I'm seriously considering going for stylised "gentleman's Billiard room" look. Movement trays and bases unflocked, with trays big enough to accommodate the labels which are on bases (all will be the same size, or half depth to act as filler, or if need lots of info on a unit). Each label base will have just one item on, such as unit, parent command, elan etc. Going to get a nice flat green paint for the bases/trays. I've got it all planned. The biggest problem will be painting all the figures! What I don't understand is why I'm the only one who uses green paper for labels in other games! I finally managed to get my movement trays finished and labels. A big thank you to Stoppage for the tip regarding dymo label makers. I picked one up from Aldi for £14.99 GBP and the clear labels exactly match the width of the name plates – Happy days! I will get a blog post up giving more details of how the trays work for me in Black powder but here's the first units all labelled up. Wow – those really look the business! Started 37 years ago painting in white a number or letter code for instance 1/24 or AG each company of the battalion gets same. Never changed. Hello John Tyson. Always loves seeing your figures. 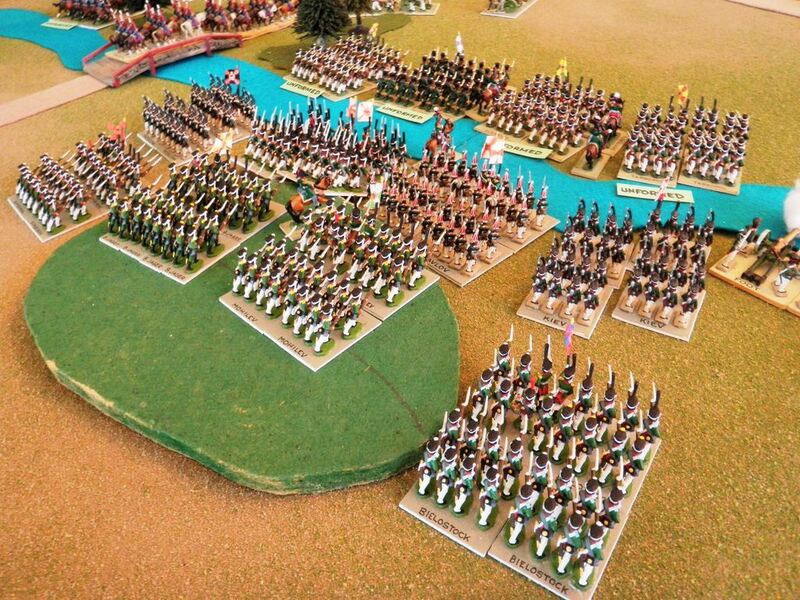 I see that your Russian Hussars are Minifigs 3rd gen. What percentage of your Napoleonic figures are 3rd gen? Steve, I like the look of those plates. My concern was would the tape be shiny. Is it? How wide is the tape? How many letters/cm? I will paint the plate to match the bases.